There are many misunderstandings when it comes to the definition of a project. Especially the time factor is often neglected and in many companies, ongoing tasks are defined as projects. A project can be commonly defined as a coordinated group activity to achieve a certain goal or result. It can be distinguished from day-to-day business by having a certain beginning and end in time. In addition, scope and resources are always exactly defined. Since the implementation of projects requires a special kind of organization, it often brings people together who don´t usually work in the same department - sometimes across multiple companies and countries. Last but not least the defining quality of a project is its uniqueness. Projects are not part of daily routine operations. An example: A company wanted to learn more about their customers and therefore analyze the existing customer data. So they set up a project. But here’s the problem: The project didn’t end when they had created the tool to analyze the according data. Instead, the analysis itself was also defined as part of the project. So, the project will probably never come to an end, because there will always be customer data to be evaluated. In fact, the development of the tool would have been the project, but the evaluation is part of the daily work routine and can thus not be a project. In order to deliver the requested results in time, in budget and in quality, an effective organization of projects is crucial for success. The key to it can be found in the planning phase, because creating a plan is the first thing that should be done when undertaking projects. Be sure to follow the details and planning steps carefully, because planning errors can hardly be corrected later. A thumb rule states that about 30% of a project´s entire time budget should be invested in planning. In addition, effective organization in projects means to identify and describe all key roles and responsibilities in particular and to find clear terms for all roles and tasks within a project´s work-flow. When starting a project, the three constraints time, cost and scope should always be obeyed. Keeping them in a mutual balance will lead to successful results. Choosing appropriate project management methods and selecting powerful software and tools are important steps to reach the project goals. Language barriers and cultural differences might handicap the project´s efficiency and slow down its pace. Especially in cross-cultural projects, managers are well advised to make sure that goals and tasks cannot be misinterpreted by staff or stakeholders. Adequate socials skills are a must to activate maximum motivation within the team and to overcome difficulties. Furthermore, interfaces to partners or sponsors should be clearly defined and kept alive by regular meetings and reviews. Modern project management gathers the knowledge and strategic competency to perform projects in an efficient and cost saving way. 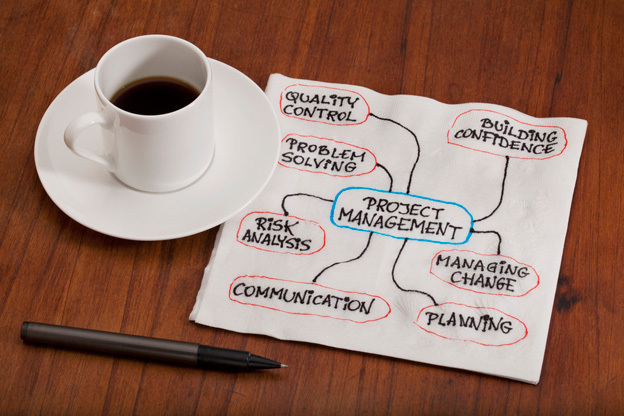 Project management aims to finish projects in time, budget and with the required quality. Since projects tend to become more and more complex, a flexible management strategy is needed to provide necessary information and to adjust projects to various general conditions. It is crucial that project management will respond to unforeseen plan variances by taking the appropriate measures. What is a project? - InLoox • Copyright 1999-2019 © InLoox, Inc. All rights reserved.